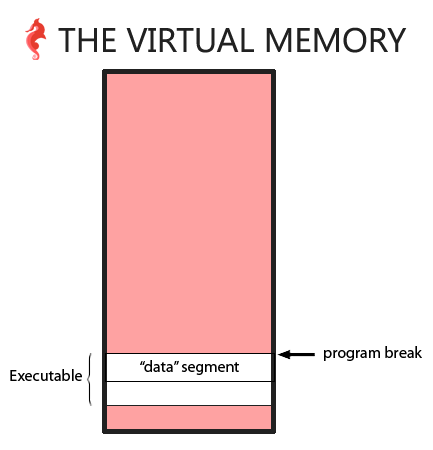 This is the fifth chapter in a series about virtual memory. The goal is to learn some CS basics in a different and more practical way. As we have seen in chapter 2, the stack resides at the high end of memory and grows downward. But how does it work exactly? How does it translate into assembly code? What are the registers used? 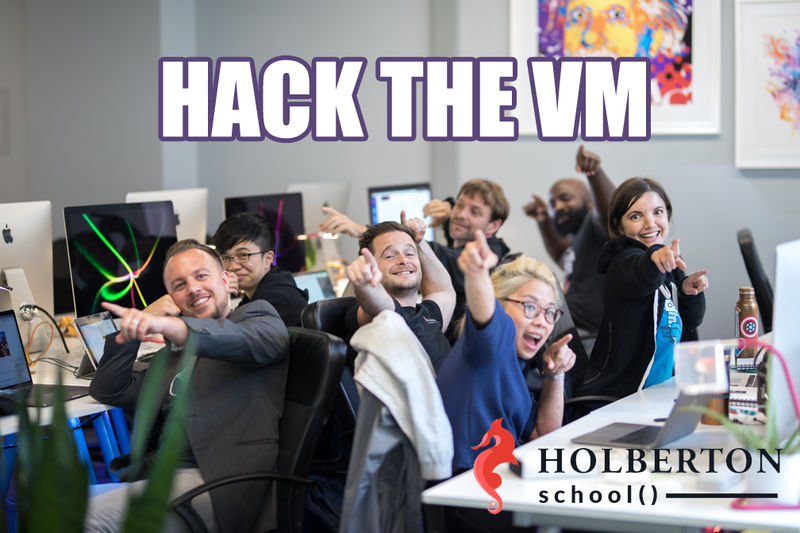 In this chapter we will have a closer look at how the stack works, and how the program automatically allocates and de-allocates local variables. Once we understand this, we will be able to play a bit with it, and hijack the flow of our program. Ready? Let’s start! The first lines of the function main refers to rbp and rsp; these are special purpose registers. 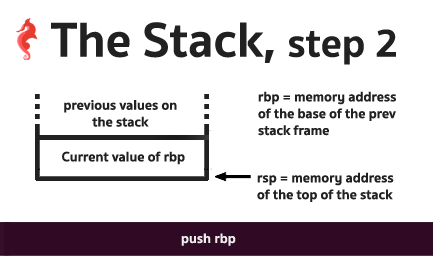 rbp is the base pointer, which points to the base of the current stack frame, and rsp is the stack pointer, which points to the top of the current stack frame. 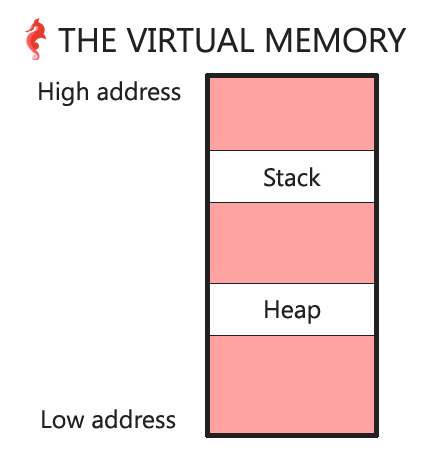 We have just created a space in memory – on the stack – for our local variables. This space is called a stack frame. 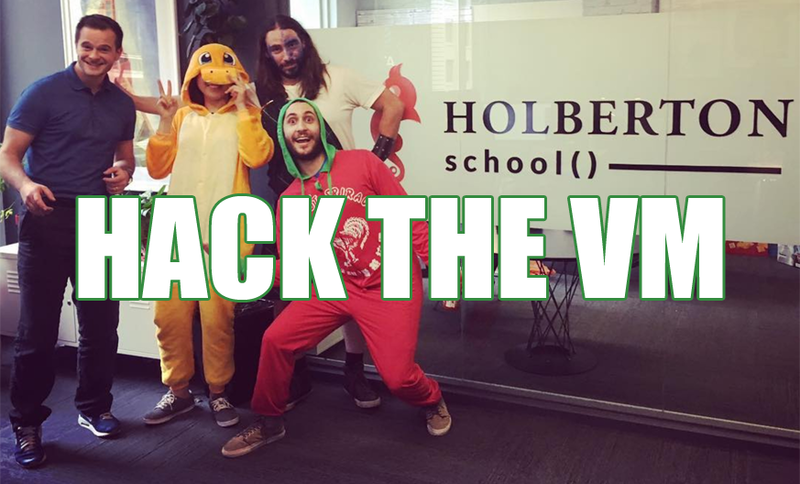 Every function that has local variables will use a stack frame to store those variables. 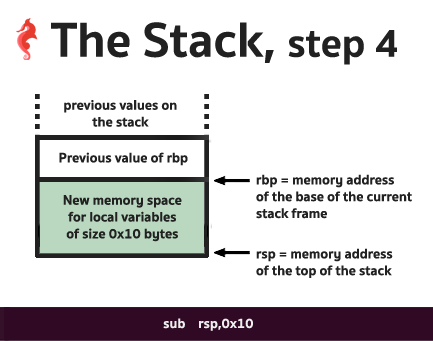 mov DWORD PTR [rbp-0x4],0x3cc is setting the memory at address rbp - 4 to 972. 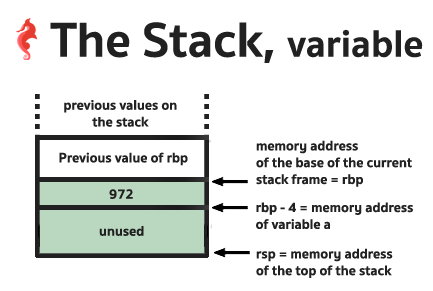 [rbp - 4] IS our local variable a. 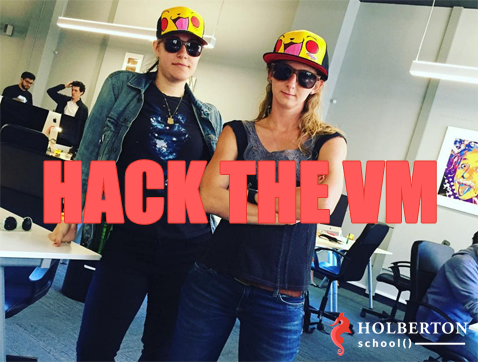 The computer doesn’t actually know the name of the variable we use in our code, it simply refers to memory addresses on the stack. 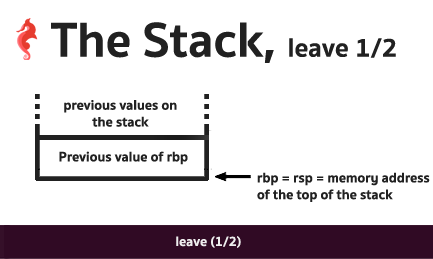 The instruction leave sets rsp to rbp, and then pops the top of the stack into rbp. the stack frame of the previous function is restored before we leave the current function. 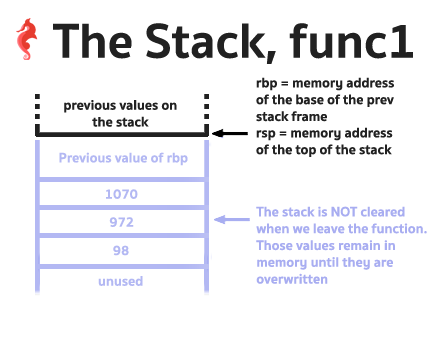 The state of the stack and the registers rbp and rsp are restored to the same state as when we entered our main function. 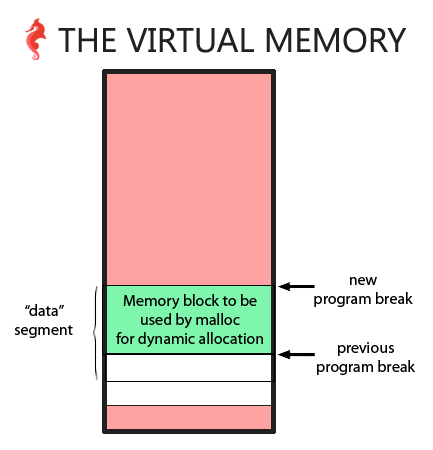 When the variables are automatically de-allocated from the stack, they are not completely “destroyed”. Their values are still in memory, and this space will potentially be used by other functions. 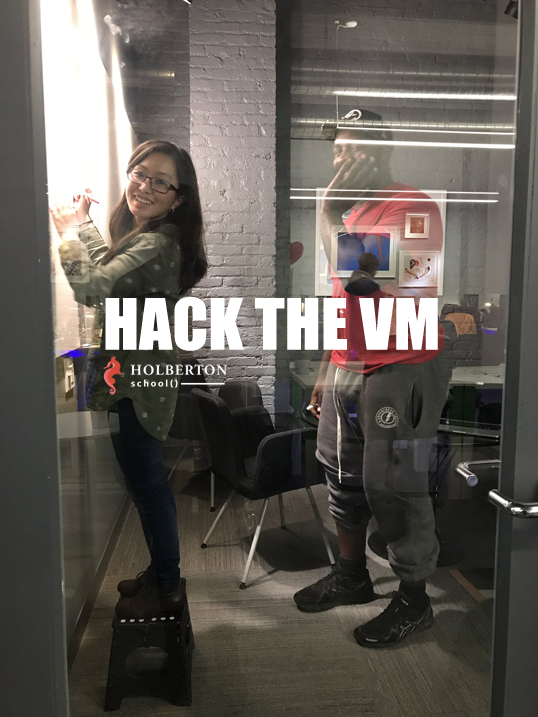 This is why it is important to initialize your variables when you write your code, because otherwise, they will take whatever value there is on the stack at the moment when the program is running. … the same variable values of func1! This is because of how the stack works. The two functions declared the same amount of variables, with the same type, in the same order. Their stack frames are exactly the same. 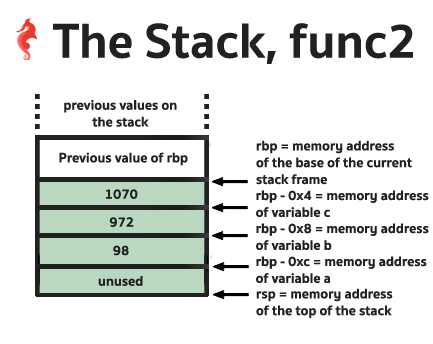 When func1 ends, the memory where the values of its local variables reside are not cleared – only rsp is incremented. 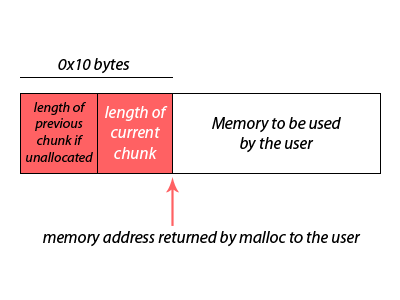 As a consequence, when we call func2 its stack frame sits at exactly the same place of the previous func1 stack frame, and the local variables of func2 have the same values of the local variables of func1 when we left func1. As you can see, the way the stack frame is formed is always consistent. In our two functions, the size of the stack frame is the same since the local variables are the same. And both functions end with the leave statement. Note that the order of those variables on the stack is not the same as the order of those variables in our code. 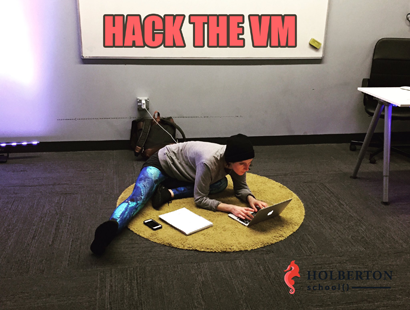 The compiler orders them as it wants, so you should never assume the order of your local variables in the stack. 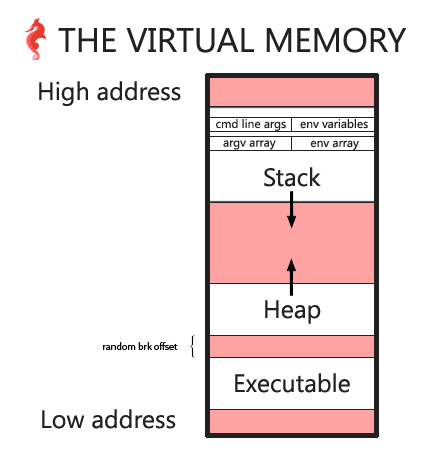 So when we enter func2, the local variables are set to whatever sits in memory on the stack, and that is why their values are the same as the local variables of the function func1. You might have noticed that all our example functions end with the instruction ret. ret pops the return address from stack and jumps there. 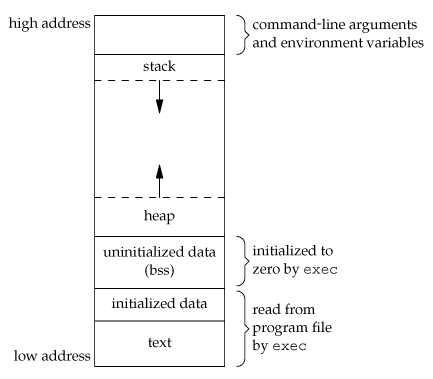 When functions are called the program uses the instruction call to push the return address before it jumps to the first instruction of the function called. This is how the program is able to call a function and then return from said function the calling function to execute its next instruction. So this means that there are more than just variables on the stack, there are also memory addresses of instructions. Let’s revisit our 1-main.c code. 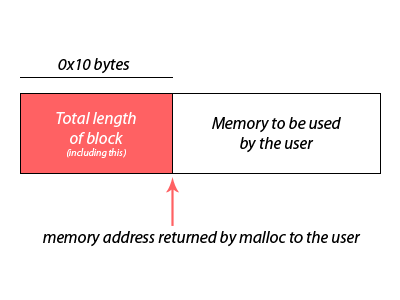 it pushes the memory address of the next instruction onto the stack, and then jumps to func1. 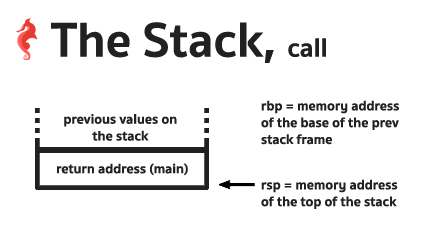 As a consequence, before executing any instructions in func1, the top of the stack contains this address, so rsp points to this value. Given what we just learned, we can directly use rbp to directly access all our local variables (without using the C variables! 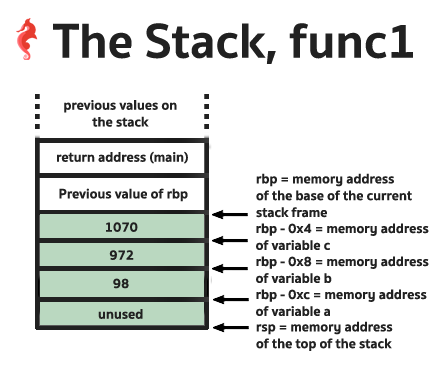 ), as well as the saved rbp value on the stack and the return address values of our functions. 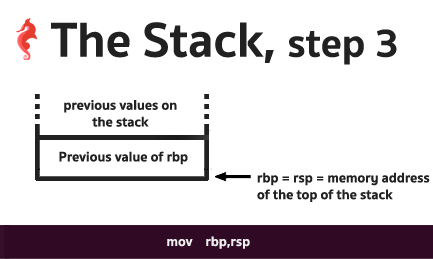 Looking at the above diagram, the current rbp directly points to the saved rbp, so we simply have to cast our variable rbp to a pointer to an unsigned long int and dereference it: *(unsigned long int *)rbp. The return address from func1 is 0x400697. Let’s double check this assumption by disassembling the program. If we are correct, this should be the address of the instruction right after the call of func1 in the main function. [x] I am in the function bye! We have called the function bye, without calling it! 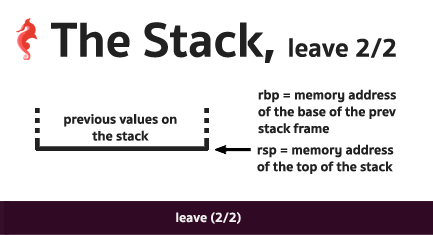 I hope that you enjoyed this and learned a couple of things about the stack. As usual, this will be continued! Let me know if you have anything you would like me to cover in the next chapter. As always, no one is perfect (except Chuck of course), so don’t hesitate to contribute or send me your comments if you find anything I missed. This repo contains the source code (X-main.c files) for programs created in this tutorial. Many thanks to Naomi for proof-reading!